At the beginning of this year, I lowered my reading goal to 75 books for the year and decided to join this reading challenge because it was too much fun to resist. And then I pretty much forgot about it as I entered my reading slump, reading the books I already had on my Kindle or whatever impulse purchases I made instead. With that in mind, I was pleasantly surprised to realize that I’ve actually made pretty good progress on the list, and Goodreads says I’m still 5 books ahead of my goal (at 55 books read), so there’s still a chance I might accomplish both of these! 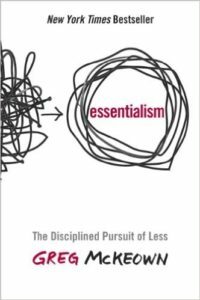 This one has been on my list since before it was published, and every time I read an essay by author Greg McKeown (of which there are many in the blogosphere! ), I wonder why I haven’t yet read it. 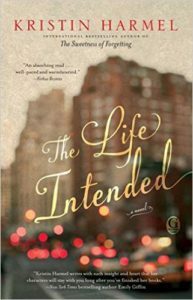 I have a thing about waiting until books are on sale, and I haven’t been able to catch this one yet, so I’m still waiting! 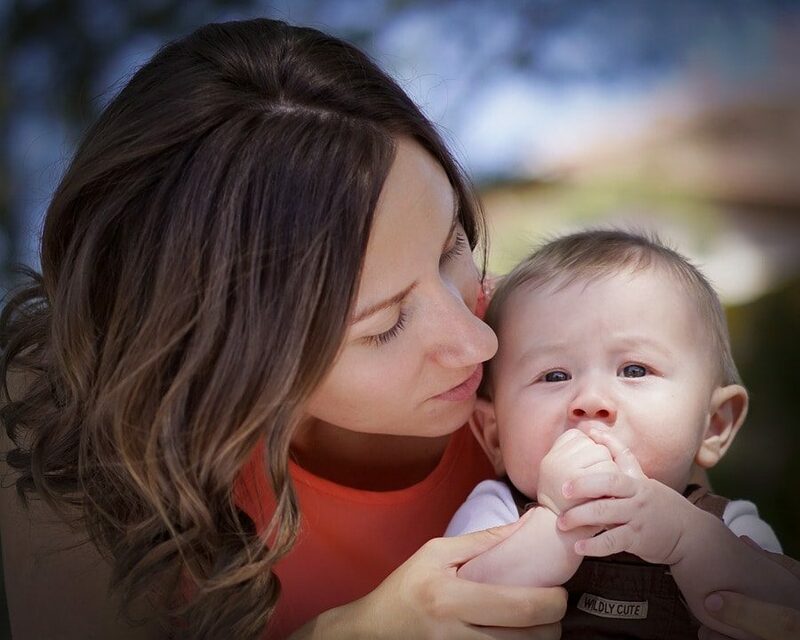 Although I often wonder where Jessica gets all her energy from (because she definitely has much more than I do! 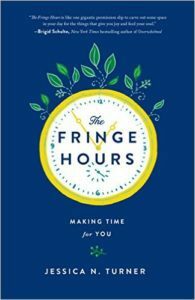 ), this book is great for anyone who is either unsure about the importance of self-care or unsure how to make that time. It’s packed full of practical tips and insights in a casual, conversational style. I have lots of thoughts about this book that I haven’t yet taken the time to put into words. In many ways, I found it inspiring. 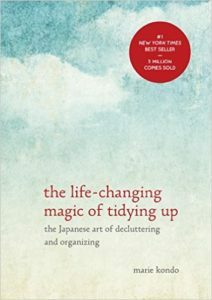 And as promised, “konmari-ing” our drawers has made a huge difference in our wardrobes. But I disagree with a lot of what she said as well (including a lot of really bizarre stuff about the feelings of our stuff) and think it’s an unrealistic plan for someone with lots of kids (especially if the kids are older and have their own stuff and opinions). But I’m a fan of taking what you can from a book or idea and discarding the rest, and there were definitely nuggets in here that have made a difference for us! Because I’m currently obsessed with reading and learning all I can about World War II (and trying to understand the horror of it all), The Diary of a Young Girl, which I read several times when I was in school, seems like the obvious choice here. My mom laughed when I asked for her favorite books because my love of reading is just one of the (many) ways we’re different. 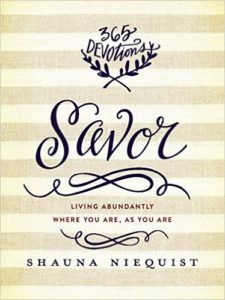 Because she’s not much of a reader, I decided to switch this category to “a book you think your mom would love,” and my nomination is this coming devotional from Shauna Niequist, which includes content from her other books as well as new content in a simply daily devotional format. I love Shauna’s writing and her heart, and I think my mom would enjoy this one—and the accompanying recipes—as well. I’ve only discovered in the last year or so how much I love “quirky” books, and this one definitely fits the bill. 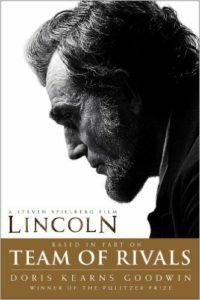 The story is so ridiculous, but it’s extremely well written and entertaining, and I loved it! 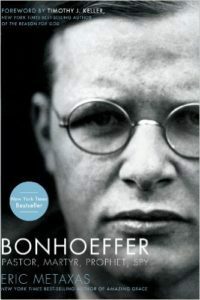 I feel left out of enough conversations that reference Bonhoeffer to move this one up my list as a book that “everyone” has read except me. 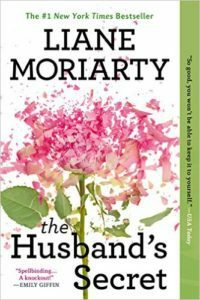 I’ve often thought about how one moment, one decision can change everything unexpectedly—and there are moments like that in my own love story—and I loved the way Moriarty wove those moments together as she told the story of three women living very different lives who are bound together by a secret they haven’t yet discovered. 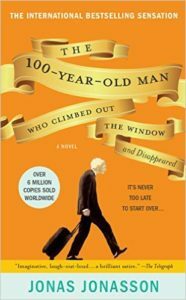 I am actually listening to this one on Audible, and I made great progress in the first few months of the year, but I’ve gotten out of the habit as my work hours have increased. I’d like to get back to listening to it for at least a few minutes a day because some progress is better than none! As promised by so many people, I loved this book, and it’s one that has stuck with me for several months now. 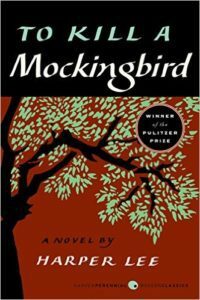 I’m currently reading Go Set a Watchman, but I’m not quite as taken with it, so it’s taking me much longer to get through. 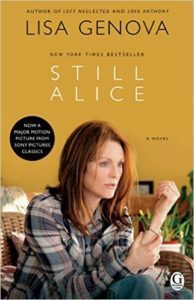 Alzheimers has always been one of my greatest fears, and this story was a beautiful look at the struggle of a woman who is at the top of her career as a university professor when early-onset Alzheimers begins to steal her memories. But it’s also a story about the love of family in the face of the unimaginable. Not a happy story by any stretch, but one worth reading nonetheless. 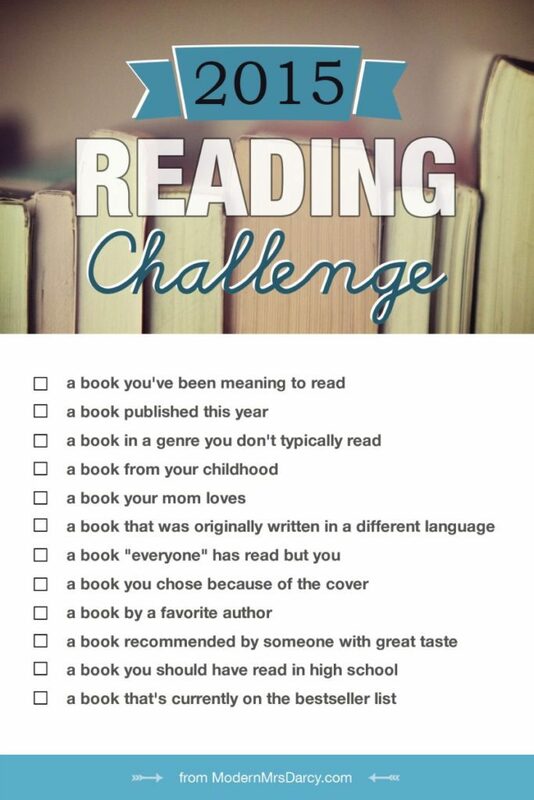 Are you participating in this reading challenge? How much progress have you made? I love book lists! Just marked this one so that I can add a few titles to my own TBR list later today. 🙂 Your mention of The Diary of a Young Girl reminded me of a book I read earlier this year that may intrigue you. I’ll just copy what I wrote about it in my book list post back then. Non-fiction. 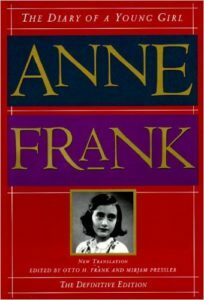 The title is pretty self-explanatory, as this book describes how Gies ended up in Holland as a child, away from her own family, hid the Franks and other Jewish people from the Nazis for over two years, and how she was able to put Anne Frank’s diary in the hands of Anne’s father. I’ve read The Anne Frank: The Diary of a Young Girl before, but it was interesting to read another side of the story.